We’re all guilty of hanging on to things for sentimental reasons. Whether it’s an old pair of jeans that one day you swear you’ll fit into again or that old tattered doll your kid used to carry everywhere. But there are some things we should get into the habit of ditching more often, like our outdated electricity plan, especially when it’s costing us hundreds of dollars extra each year. It sounds like an obvious reason to switch but what keeps many of us from acting on a high electricity bill is that generally we don’t know what really is too much. You can’t exactly knock on your neighbours’ doors to ask how much they pay for gas and electricity. Fortunately, you don’t even need to. Here’s a more accurate and less intrusive way to do this - go online and use a tool that lets you analyse the average usage and energy costs in your area to see if you’re shelling out more than you should. Here’s an example - according to Mozo’s energy comparison tool, a family of 4 in Victoria postcode 3000 could save about $284 in a year by switching to the cheapest electricity plan. Why not check exactly how much YOU can save by switching plans by punching in your postcode into the tool right now! If you’ve been on the same plan forever then it’s definitely a good time to shop around. For all you know, the terms and conditions of your plan may have changed after the fixed period ended and you may not even be getting that 8% direct debit discount you signed up for three years ago. Don’t kill the messenger, but you could have been transferred to a default plan, which could be the most expensive of the lot! Good news is that you could make a huge saving by switching to the cheapest plan in the market. Energy plans these days usually run for either one or two years. If you’re inching closer to the end date then this a good time to take stock of your options, make a quick comparison and then decide if you should switch providers or perhaps stick with the same provider but move to their latest plan. It can take up to three months to switch from one provider to another, so the earlier you start looking for a better plan, the faster you’ll move to bigger energy savings. Even if you have been on the best energy tariff for your current address, it’s a smart idea to review your gas and electricity plans if you’re about to move. Energy plans vary for different suburbs so it is totally possible that you could land a better deal when you change houses. This happens because different areas are served by different distributors who in turn levy different supply charges. Since a high proportion of an electricity bill is made up of costs decided by the distributor, moving can have a big impact on your power bill. So to get ready for the move, see our week-by-week guide on how to set up a fresh energy account for your new home. Think you can’t do much about increasing electricity and gas prices? Actually you can. In a competitive market energy with a whole new breed of innovative energy providers, there will always be some deal out there that could save you money. When prices increase, there’s a chance that while some providers raise their usage charges, others hike up the supply charges. While you obviously can’t check every supplier individually to see how they’ve dealt with the changes, you can easily use an energy comparison site like Mozo to compare the updated plans in your area. Another option is to consider fixed rate tariffs for longer periods, which won’t be affected by any price rise. So depending on your consumption and payment patterns, it is possible for you to find a plan that doesn’t dent your wallet even when the costs go up. Last year, Australia experienced one of the coldest winters in years and a Mozo study found that about 50% of the people surveyed received larger than expected energy bills. Of those surveyed, 32% said their winter energy bill had risen by up to $50 and 20% had a bill that was $110 higher! 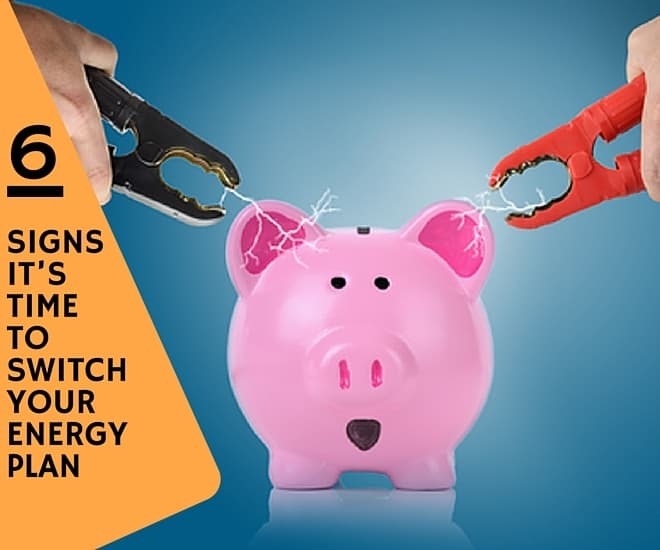 Autumn is the ideal time to switch as energy companies know that money savvy customers like you will be looking out for better electricity and gas plans and that is why many providers actually come up with special winter deals and discounts. If you still need more help or information on things like how to find a cheap electricity provider, a breakdown of the different energy plans and products and how to pick the best energy discounts, read our detailed gas and electricity guides here. Happy switching!